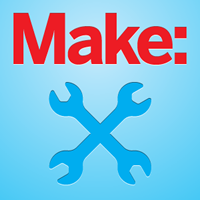 DIY projects, How-tos, tech news, electronics, crafts and ideas. Catch Some (Major) Air: New Space Humble Bundle! Maker Faire Paris is setting up for its 5th year at Europe’s largest science museum, the Cité des Sciences et de l’Industrie (Museum of Science and Industry), whose fantastical facade is pictured below.